Peter Tauber, secretary general of Merkel's Christian Democrat (CDU) party and effectively its campaign manager, declined to comment directly when Reuters enquired about the report. Merkel, who turned 61 on July 17, has not made any public comments about whether she would run for a fourth term, although she did hint in a speech in Cologne last year she would stand again. She is on holiday hiking in the Alps. Merkel, who has guided Europe's biggest economy through the 2008 financial crisis and euro zone turmoil, regularly ranks as one of Germany's most popular leaders, which is unusual for a sitting chancellor.There are no term limits in Germany and the last CDU chancellor, Helmut Kohl, served for 16 years before losing his bid for a fifth term in 1998 to Gerhard Schroeder of the Social Democrats (SPD). Neither were as popular among voters as Merkel. In a country that cherishes stability, Merkel is only the eighth post-war chancellor. She has no obvious rivals in the CDU. Der Spiegel claim she held a strategy meeting recently with Tauber and party manager Klaus Schueler to discuss the campaign. "The campaign operations should be based in CDU party headquarters," the magazine said. "As a result of that meeting, the first staff workers are being recruited." Merkel is so popular in Germany that one SPD leader, Schleswig-Holstein state premier Torsten Albig, said recently the SPD should not bother putting up a candidate to run against her in 2017. "She's doing an excellent job," Albig told NDR TV. 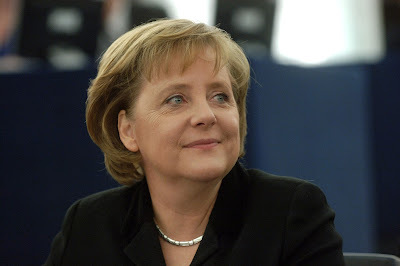 There was speculation two years ago that Merkel would step down in the middle of her current term but that was denied by her spokesman Steffen Seibert, who said Merkel would decide about a fourth term nearer to the election due in late 2017.